Originally from Grosse Pointe, Michigan, Blake attended Wayne State University for undergraduate as well as medical school, where he developed interest in neurosurgery. 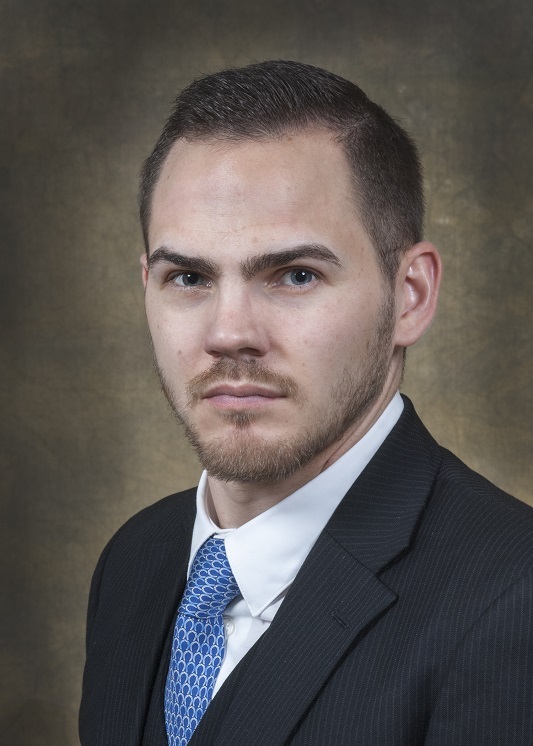 Under guidance of Dr. Nicholas Szerlip, he assisted in research involving postoperative diabetes insipidus after endoscopic transsphenoidal surgery, for which he was awarded the Karl G. Pinkard scholarship for excellence in neurosurgery. Blake enjoys all aspects of neurosurgery but has a strong interest in complex and minimally invasive spinal surgery. Walker, Blake, et al. “Neurosurgical Management of Spinal Tumors.” Central Nervous System Cancer Rehabilitation, Christian, Adrian, Elsevier, 2019, pp. 83–89. Schreckinger M, Walker B, Knepper J, Hornyak M, Hong D, Kim JM, Folbe A, Guthikonda M, Mittal S, Szerlip NJ. Post-operative diabetes insipidus after endoscopic transsphenoidal surgery. Pituitary. 2013 Dec;16(4):445-51. doi: 10.1007/s11102-012-0453-1. PubMed PMID: 23242859.